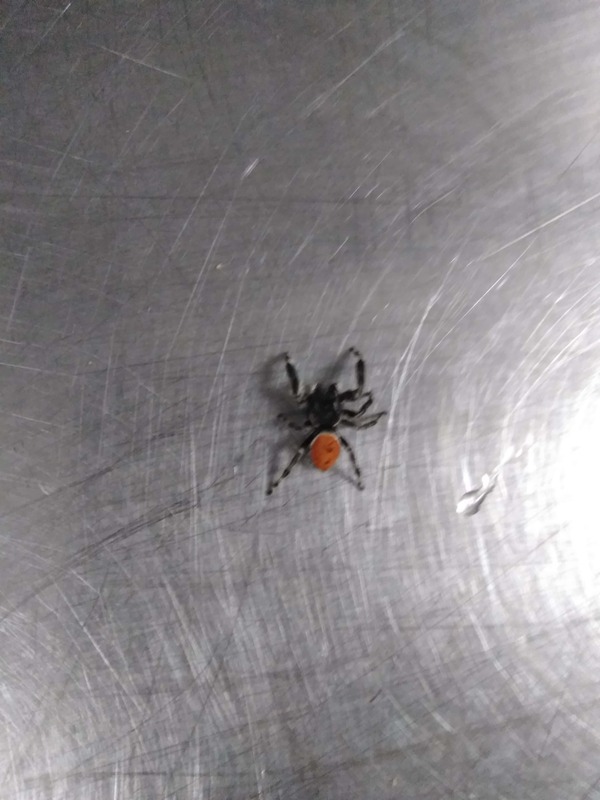 I was surprised by this guy while prepping grapes grown in California. I have looked through a LOT of spiders today and I *think* it is in the jumping spider family, though it didn't jump. It's web was more like a home than a trap.